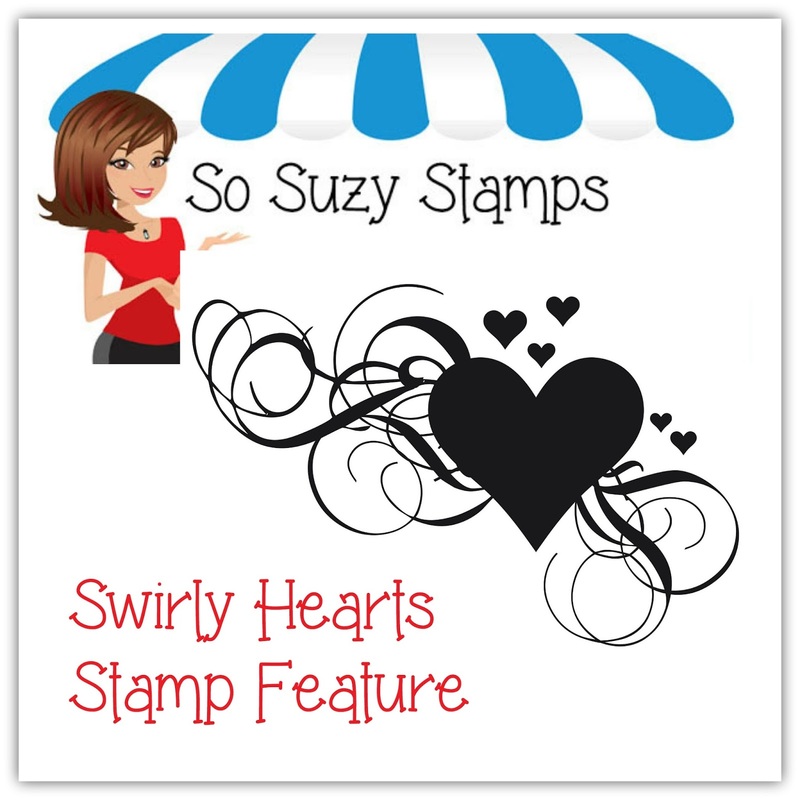 each month So Suzy Stamps features a special stamp (this month it is Swirly Hearts) and several people make cards in order to inspire others on how to use it or give inspiration to anyone who is thinking of buying it. 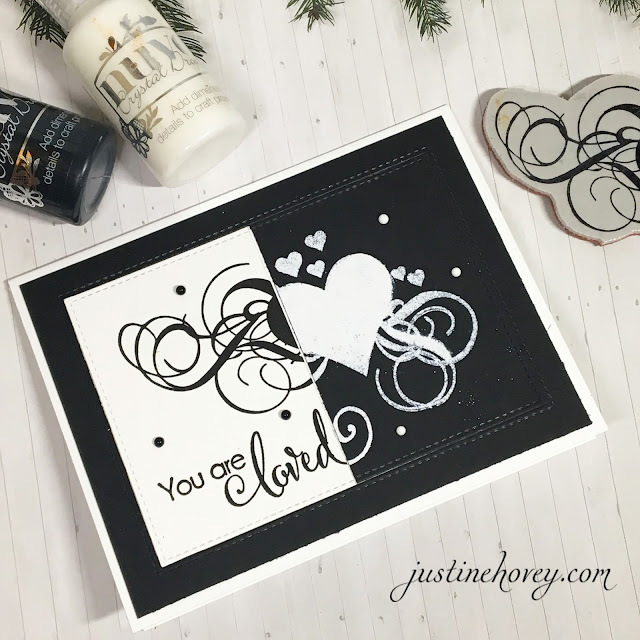 I made this black and white elegant card using a really cool MISTI technique that I show in my video tutorial. I stamped the Swirly Hearts stamp in black on white paper and embossed in white on black paper. 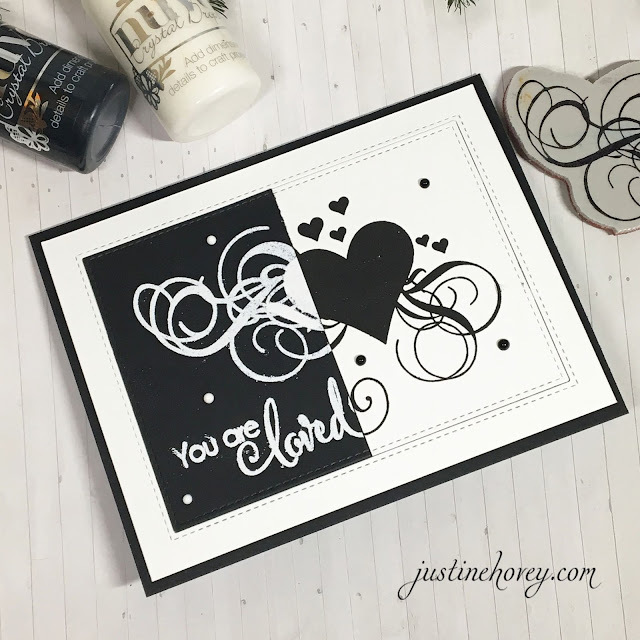 Because of the MISTI stamping tool, they were placed in the exact same spot so I was able to cut them in half and add them to my card. Here is the card featuring the black card base. Here is the card featuring the white card base. I love these cards. I love your take on the black and white. What a unique way to highlight the Stamp, I really like the black and white! 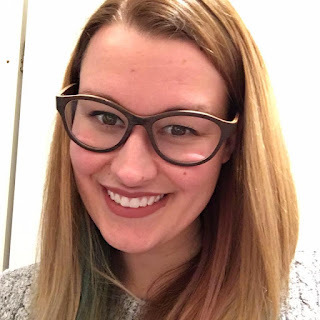 WOW, such great cards Justine! I ♥ them!